Forklift accident injury compensation. That's our specialty. If you’ve been injured operating a forklift or reach truck, we’ll help you get the maximum compensation payments available to you. I’ve just been injured in a forklift accident. What should I do? If the accident happened at your workplace then you should get a copy of your employer’s workers compensation file relating to your accident. With forklift accidents we find that many employers are unaware of the correct claim process – for example, how to go about getting a police event number, which is needed for the claim. So we usually manage this process on behalf of our clients. If you’re having any difficulty progressing your claim or getting the information you need you can call Law Partners and one of our specialist solicitors will give you free advice over the phone. Since forklift accidents generally happen in the workplace, they often involve two compensation claims – a CTP claim and a workers compensation claim. Some of your entitlements will be paid under the workers compensation scheme, and some under the CTP scheme. 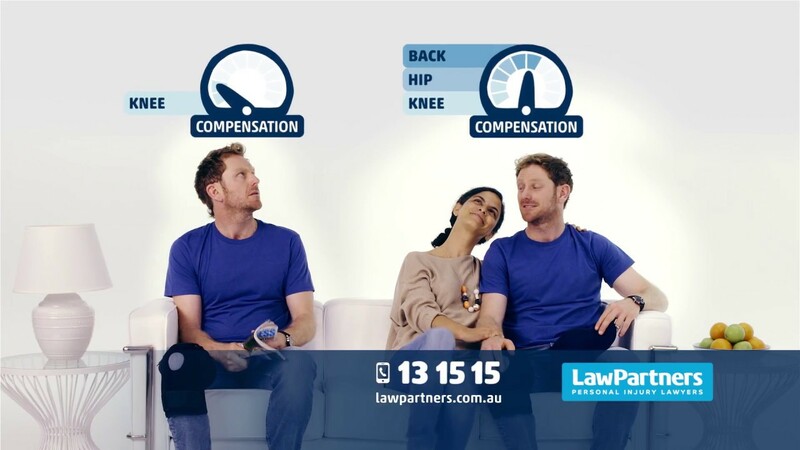 At Law Partners, we have a lot of experience handling claims like this, so we can make sure you’re claiming your full entitlements under both schemes. If you’re unsure about what to do you can call us for free advice – we’ll put you straight through to one of our specialist forklift accident lawyers. Where can I find a forklift accident injury expert in my area? We have solicitors and legal teams that specialise in forklift accident injury claims. Can I claim for future lost earnings? If your forklift accident injury means you’re going to be off work in the future, or you can only return to work part time, you may be able to claim a lump sum for future lost earnings, right up until retirement age. To qualify for this lump sum, your injuries need to be assessed as being non-minor. Both physical and psychological injuries are taken into account in this assessment. Also, if your injuries are assessed as being more that 10% WPI (whole person impairment), you may be eligible for an additional lump sum for pain and suffering. For more information on claiming lump sums you can call our free advice line, or read this article. If I make a claim, will my employer have to pay? The simple answer is no. Your CTP benefits are paid by the CTP insurer, and your worker’s compensation benefits are paid by Workcover. So although some people are hesitant about claiming, there’s no need to be concerned – these insurance schemes exist to provide support to people who are injured and need time off work.